The Palais 12 concert venue at Heysel is not booking the number of concerts nor attracting the crowds it promised to when it re-opened in 2013 following an extensive renovation. The City of Brussels pumped €20 million into the expansion and renovation of the venue to make it one of the cornerstones of the Neo development project at Heysel. 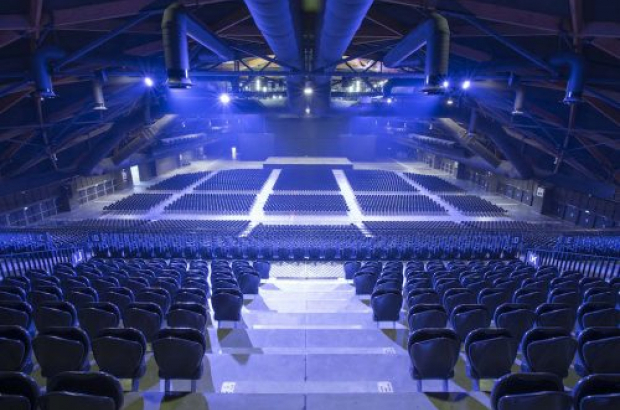 Bruzz newspaper gathered figures from several of Brussels’ concert halls and found that, while Ancienne Belgique and Forest National both had excellent years, Palais 12 has performed far under expectations. In 2013, the stated ambition was 100 concerts a year and 1.5 million visitors. Last year, the venue staged 36 concerts attracting 200,000 visitors. The reasons, according to sources speaking to Bruzz, are varied: Regardless of the larger capacity – 15,000 seats at Palais compared to 8,400 at Forest – most big names are still choosing Forest. Not only is there a better chance of selling out at Forest, it is easier to reach with public transport. Other concert promoters said that the acoustics were poor at Palais 12. Fabrizio Gentile became the director of entertainment at Brussels Expo, which manages Palais 12, just last year. He told Bruzz that they plan to make much more use in the future of the venue’s ability to host smaller shows. The hall can be brought down to host as few as 2,000 people.